Who Has the Best Healthy (Low Calorie) Frozen Pizza in 2017? We review microwavable, diet frozen pizzas from Lean Cuisine, Smart Ones, Jenny Craig, and Nutrisystem. This article is mostly about taste ratings for low calorie pizza. We don't analyze the ingredients nutritionally, as few people are eating pizza as a health food. But we do list sodium and fat content for each pizza, as well as calories. Lean Cuisine has the greatest variety of low-calorie frozen pizza flavors by far. Their taste reviews range from very good to very bad, depending on the flavor. Does any "diet pizza" taste as good as a high calorie Digiorno pizza? No! But some of the low calorie single-serving items reviewed below are actually pretty good, and they won't derail your weight loss efforts or send your sodium levels through the roof. Our ratings are based on 100 taste reviews from across the blogosphere. To give you an even greater comparison, we included both supermarket favorites such as Smart Ones and Lean Cuisine, and also included pizzas from diet delivery companies Nutrisystem and Jenny Craig. With a drool-worthy name like this one, we thought Lean Cuisine had it in the bag. Alas, we were wrong. It seems the recent recipe update was a flavor strike-out. Reviewers attitudes towards this dish were as unfortunate as the bad smell they claimed it had. "I'm not sure if it was the sauce or the sausage but it just didn't taste or smell right." Let's be honest, the calorie to taste ratio is a mighty one to master with pizza. It seems Lean Cuisine is trying their best, but another one of their 8 pizzas missed the mark. Reviewers admit it's the recipe change that's the culprit, but that didn't stop their almost angry remarks about the overt lack of flavor. "The crust is hard and the toppings are sparse. They are terrible!" " The toppings had very little flavor ...The crust had a funky taste to it." Nutrisystem food is often met with mixed reviews. Though their customers appreciate the variety of dishes, many feel this one is a total miss. It may taste okay, but that doesn't matter if the only way you can enjoy it is by jazzing it up yourself with toppings and herbs. "It's basically like eating one sad lunchables pizza. Not as filling as the other dinner meals." "I think it is better baked in the oven. Loaded up with onions and peppers and any other free veg(gies)." Barely over 300 calories can be the equivalent to: tasteless and boring. However, this diet-friendly entrée reached the level of "good enough." Comments were passionate on both sides. Some thought the rough texture or the mystery meat toppings were bad while others claimed it satisfied their pizza-hungry appetites. "I wasn't a big fan of the sauce but it had a good amount to cheese and pepperoni to balance out the weird taste." "The crust tasted like cardboard. The toppings were pretty good." "They give a decent pizza taste." "I love the pizza bites. They're so perfect as a little finger food." Here's where Nutrisystem scored some major points with their customers. Many have reported that this pizza is one of their faves in the whole program. In fact, many were surprised because it's a very simple recipe, with just crust, herbs, and cheese. Sometimes less is more! "I thought the sauce was tasty and the crust was thick and had flavor." "From my experience diet pizza often tastes like cardboard. This is NOT the case. I found this to be delicious!" Vegetarians can rejoice! Here's a low-calorie, meatless pie that doesn't skimp on flavor. If you're a pizza lover, you'll notice its authentic creamy sauce pairs well with the mushrooms and spinach. Reviewers not only loved the taste, but its healthy nutritional label as well. "The alfredo base was flavored with the right combination of spices." "This... hits the spot when I'm craving pizza. The flavors remind me of a gourmet flavor I would get at a restaurant." Holy sodium Batman! At these salty levels, it would be tough for this pizza to taste bad, right? Well, most reviewers were huge fans, but a select few were a little wary of the nutritional label. Don't expect to be too hungry after this bad boy, many comments were about how filling it was all by itself! "Not crazy about the calories, sodium and fat but they sure are good." "It was surprisingly delicious for a microwavable pizza." Some of the most die-hard East Coast pizza addicts claim this one is a home run. Some even say they enjoy this entrée so much, they buy a few boxes at a time. It has to do with its authentic flavor and satisfying texture, plus it cooks very well in the microwave. "This is an amazing substitute for a good old slice of NY pizza." "I eat at least one of these every week. It is a satisfying lunch meal but yet light enough to not make you feel bloated like traditional pizza can do." "This pizza was great tasting, fluffy crust, perfect amount of cheese and lots of flavor." Here's our number 1 winner for low-calorie, frozen pizza. Surprised? So were we! How could this small pizza pack so much flavor? Whatever Lean Cuisine's secret it is, they totally nailed it with this one. Crunchy, flavorful, and never fails to attack that pizza craving head on. "I eat this pizza for lunch all the time and I feel like I'm cheating on my diet - but I'm not!" "I absolutely LOVE pizza... This pizza is all the great taste and portion controlled so it is relatively low in calories. I eat this at least twice a week it's so delicious." "I think the French Bread pizza is one of the best products Lean Cuisine offers. Easy to make, the perfect size and portable too. Always surprised how crispy the bread after microwaving." We have evaluated reviews from diet and food bloggers across North America to rate the taste of frozen pizzas from Lean Cuisine, Healthy Choice, Weight Watchers Smart Ones, Jenny Craig and Nutrisystem. All pizzas are ranked on a scale of one to ten, with "ten" being the best tasting. Bite-sized morsels of cheese and tomato offer fresh Italian flavors and convenient snacking. A simple, meatless recipe that marries traditional Italian herbs and spices with low calorie crust. “It’s like a treat without cheating”, said one blogger. (http://momccupation.com/2011/09/nutrisystem-week-9-10.html). The bad news is that this pizza is only available to those signing up for Nutrisystem Select which costs over $400 per month, (or about $300 per month, if you sign up for monthly auto-delivery.) To see all Nutrisystem prices, click here. Common recipe with large pepperonis and a 4 cheese blend that satiates even the biggest cravings. A crunchier crust bodes well for taste buds and gives great texture, but doesn’t always heat perfectly evenly. BBQ sauce tops off the cilantro, onions, and chicken, fulfilling an appetite for sweet and tangy flavors. Great for vegetarians, the velvety, cheesy texture mixes well with the veggies in each tasty bite. This recipe calls for “the works,” but is actually heavy in toppings and light in cheese. Spicy pepperoni and herb-infused cheeses couple nicely in this customary recipe. A basic culinary treat with a four Italian cheese blend and featuring a new crust. Mozzarella, Asiago, Parmesan, and Romano cheeses unite for a melt in your mouth zesty experience. If chunks of garlic aren’t enough, the rich and creamy garlic sauce drizzled over the chicken will be. Crunchy crust, hints of basil and garlic, and an overly sweet sauce make for a quick and average meal. French bread enthusiasts celebrate the deluxe version, if only the toppings would stay on. Sautéed mushrooms paired with tomato sauce creates a meal that only some veggie lovers enjoy. Supreme-style with meatless sausage crumbles and a “rising crust” that won’t rise for the occasion. Tasteless and boring. Many people try adding spices or cooking it in an oven instead of a microwave to make eating it more fun. Pepperoni, Italian sausage, and ground beef give an explosion of protein, but the new recipe is less than a hit with some. Classical Italian recipe that’s missing authentic ingredients and doesn’t fill up. Onion, red and green pepper, and mushrooms mingle with cheese and herbs, but where’s the flavor? 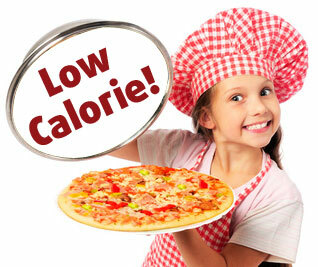 All pizzas in the study had less than 410 calories per six ounce serving.